This home has to be seen! 2400 sq ft of living space on upper levels and a fully finished basement . 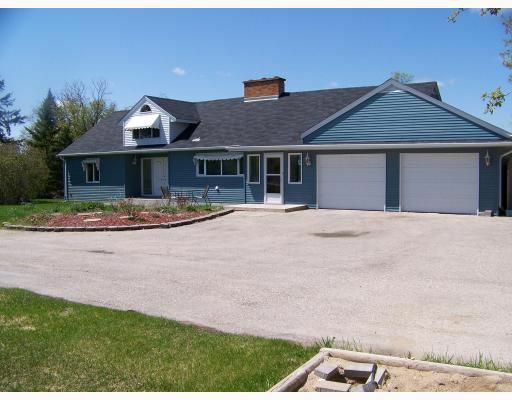 4+ bedrooms and 3 bathrooms in a quiet country setting only 1 minute from the perimeter. Home includes all appliances plus a built in entertainment system with retractable 94" screen and HD projector, surround sound with subwoofer, 42" plasma tv, a piano, and a gas BBQ with gas line connected to home. Upgrades include new roof in 2008, full weeping tile and waterproofing in 2004, 200amp panel 2008. Don't let this home pass you by. A beautiful family home in a great location.